Charlotte Oktoberfest, Charlotte's largest craft beer festival for 17 years running, will take a hiatus in 2016 after issues arose with its planned site at the AvidXchange Music Factory. In July, organizers with Carolina BrewMasters announced that they would be cancelling this year's Charlotte Oktoberfest, originally scheduled for Oct. 1. The home brew club cited "construction, parking, safety, and other nearby events" among other reasons for putting the festival on hold. "It was just because of the site," said Charlotte Oktoberfest site manager Mark Szabo when asked if any concern about turnout played a part in the decision. "It was not ready to be used there. It took a while for that all to come to light, and it ended up getting to be a little late; you have to go through a permit process to hold a festival, which takes time." Charlotte Oktoberfest raised $50,000 for a slew of local charities last year, the least amount of money raised since 2008 and a far cry from the $81,000 raised in 2014. However, it's likely the weather played the largest role in last year's numbers, and speaking as someone who was in attendance, organizers still put on a great event despite the rain-soaked and windy conditions. And to be clear, $50,000 in donations is nothing to sneeze at, even if you did catch a cold at last year's event. Szabo assured CL that Charlotte Oktoberfest will be back next year, but until then, we found a few other Oktoberfest events being held in the greater Charlotte area for those who need that thirst quenched. Revelers at last year's Mecktoberfest. The fine folks at The Olde Mecklenburg Brewery have been holding Mecktoberfest events for eight years now, and they're your best bet for an Oktoberfest replacement in Charlotte proper. The biergarten seats over 1,000 people, so bring some friends. Your dog is welcome, too. The special Mecktoberfest menu being offered in the Biergarten and Brauhaus includes German fare and all the award-winning Märzen amber ale you can drink. Also, the crowd-favorite Holzhackern German Band will be performing on all three days. 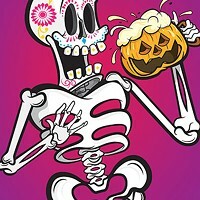 September 23-25, 11 a.m.-11 p.m. Olde Mecklenburg Brewey, 4150 Yancey Road. The Matthews Chamber of Commerce is teaming up with Harley-Davidson of Charlotte to throw a different spin on October beer festivals. It's not necessarily an Oktoberfest but it's a bunch of beer outdoors with games and entertainment, so what else do you want? Some of Charlotte's favorite brewers have already signed on — Sugar Creek Brewing Co., Birdsong Brewing Co., Olde Mecklenburg Brewery — along with some surrounding-area breweries you may not get to hit as often — Cabarrus Brewing Company, DreamChaser's Brewery — and others from around the state — Duck Rabbit Brewery, Wicked Weed Brewing. Rob Jacik, owner of Carolina Beer Temple and vice president of the Matthews Chamber of Commerce Board of Directors, is already betting that news about the cancellation in Charlotte will make it a good time to kick off this inaugural event. "This will not only be a signature event for Matthews, but also for the southeast area of Charlotte. Nothing like this has been done on this side of town before," Jacik said. "With Charlotte Oktoberfest being cancelled this year, we expect to see some bigger numbers than we originally thought. We are definitely ready for it and excited for it." Oct. 22, 11 a.m. – 5 p.m. Harley-Davidson of Charlotte, 9205 E. Independence Blvd., Matthews. This event in Rock Hill, South Carolina will be more to the liking of folks looking for the traditional Bavarian celebration. Organizers go legit for this one, bringing in the Alemannia German Society of Charlotte to serve German food and pastries while also, more importantly, running a beer garden. Live music will include a strolling accordionist wandering the grounds during the afternoon and performances from the Foothills Oompah Band, playing hits like "Beer Barrel Polka" and everyone's favorite "Im Himmel da gibst kein Bier" (translated as "In heaven there is no beer [want to bet? ]"), beginning at 5 p.m. If all these Germanic hijinks aren't enough for you, there will even be a Wiener Dog Race hosted by the Humane Society of York County beginning at 6 p.m. It's also kid-friendly, with inflatables and face-painting booths on site. 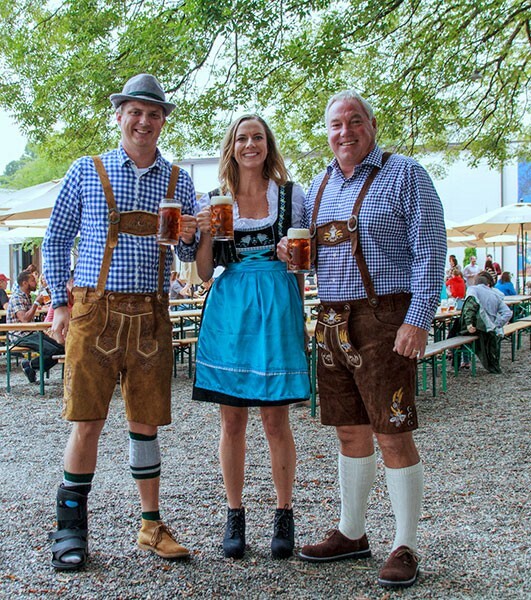 While the folks at Waldhorn Restaurant admit that they are Swabian and not Bavarian, just admit that none of us know the difference and choose a weekend to go get your beer on. For the last two weekends in September and the first two in October, the good people at Waldhorn turn the site around their restaurant into one big Oktoberfest party, pitching a large beer tent complete with a stage and dance floor. This year's performers include (in order of which weekend they will appear): Continentals, Prost, Jay Fox and the Bavarian Showtime Band and The Alpen Echos. There will be a tent menu of traditional German snacks like weinerschnitzel and gulasch, or arrive early on one of the scheduled Fridays or Saturdays to eat a full meal in the regular dining quarters before making it out back to wash it all down and, once you've had a few, do the polka. Sept. 23-24, Sept. 30-Oct. 1, Oct. 7-8, Oct. 14-15, 5 p.m. – 12 a.m. Waldhorn Restaurant, 12101 Lancaster Highway, Pineville.